Here’s a pretty card for your Friday! Enjoy some time to appreciate nature and your home. Blessings! Though the Christmas elf is normally associated with the workshop where the toys are made, here we see one in the Woodlands setting surrounded by animals: an owl, a deer, a woodpecker, a bird and badger, squirrels, and even a little rodent in there. What would make the little guy leave the shop and take time in nature? Perhaps this is a reminder that as we are busy with all of our events and gift buying, it is good to take some time to appreciate season for what it is. Remember to appreciate the beauty of the wildlife in your area. 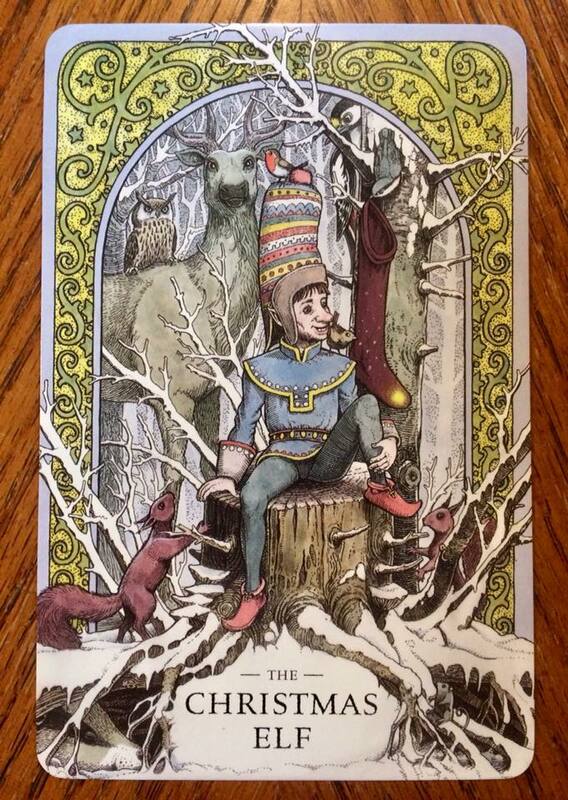 What does this card remind you to do?